Open mic – first come, first served! Whether you’re an experienced performer who’d love to share a couple of songs, an amateur musician who welcomes the opportunity to perform in a welcoming, supportive environment, or a diner anticipating lunchtime entertainment, come to the open mic! 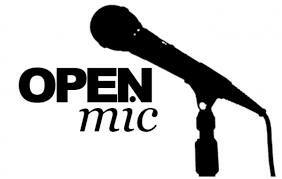 The open mic is located in the cafeteria from 1 to 3 pm and is open to all. Sign up (in the cafeteria) starts at 12 noon. It’s first come, first served. Each performer gets up to two songs, for a total of up to 10 minutes including set-up and takedown. Please be fair to other performers and stay under your time limit.